When Paul wrote to the church at Galatia, he told them that the Spirit will bear certain fruit in our lives such as love, joy, and patience. These "fruits" are important because they impact our relationships, but they are the best demonstration of God's working in our lives. The following activities are about the fruits of the Spirit and can be used at home, in church, or in a school setting. This printable coloring page can be used in a homeschool setting, one-on-one, or in a classroom setting like Sunday School. 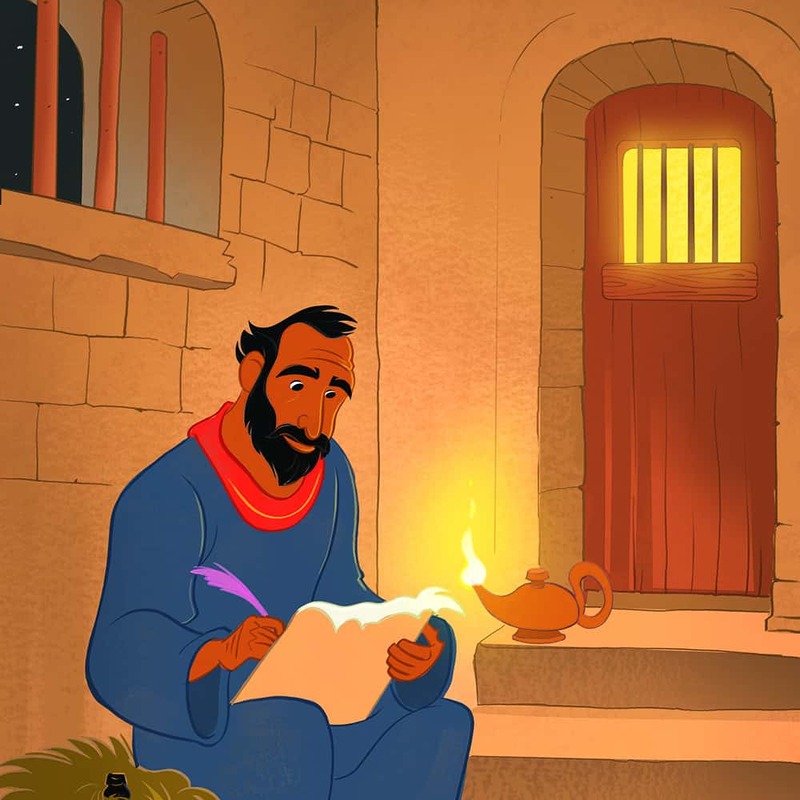 It is based on Galatians 5:22-23 and will remind kids that the Spirit enables patience by reminding us that God has been patient with us. 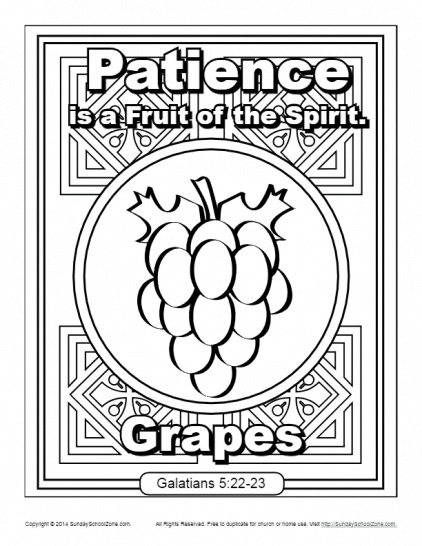 Other coloring pages available on SundaySchoolZone.com contain each individual fruit of the Spirit.